The foundation is committed to disseminating credible information about the health care law and how it affects Pennsylvanians. Whether you are privately or publicly insured, the resources on this page are designed to help individuals and employers learn about a variety of health insurance options that may benefit you. HealthCare.gov is a user-friendly website designed to inform individuals and small businesses about a range of new insurance enrollment options. Marketplace Shop, a marketplace site by the Centers for Medicare & Medicaid Services, provides easy, downloadable tools and fact sheets about new health insurance choices. Benefits.gov is a free, online screening tool that informs Americans about whether they may qualify for various federal programs, including health insurance plans like SCHIP (the State Children’s Health Insurance Program), Medicaid and Medicare. This service is confidential and users are not required to enter names, phone numbers, Social Security numbers or any other identifying information. Medicare.gov provides information for Medicare enrollees on billing, enrollment, plan choices, drug discount cards and long-term care. It includes search tools to compare health plan options, determine eligibility and enrollment status, locate participating physicians and compare nursing homes. Medicare’s Hospital Compare website offers a free online tool to compare hospital quality by region. Pennsylvania’s Health Care Cost Containment Council is an independent agency responsible for addressing the problem of escalating health costs, ensuring the quality of health care and increasing access for all citizens regardless of their ability to pay. The Council’s website posts free public reports on quality, cost and admission rates for health facilities throughout Pennsylvania. Pennsylvania Health Access Network is committed to expanding access to affordable, quality health care for all Pennsylvanians. Their website includes facts about legislative changes underway in Pennsylvania, summaries of key issues and ways to have a voice in the legislative process. The Commonwealth Fund provides policy information on health insurance and the uninsured, Medicare, Medicaid and other state programs, health care quality, minority health, long-term care and more. Families USA is a national nonprofit, nonpartisan organization dedicated to achieving high-quality, affordable health care for all Americans. For information about the health law, including who will benefit and what it means for your state, visit their newest website: Health Reform Central. Health Reform Source by the Kaiser Family Foundation is a health policy clearinghouse that covers health insurance costs, Medicaid and SCHIP (the State Children’s Health Insurance Program), Medicare, minority health, prescription drugs, state health policy, the uninsured and more. It features State Health Facts Online. 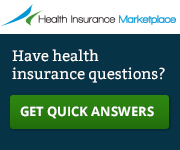 WhiteHouse.Gov’s Health Reform site offers the latest news and information on changes in the nation’s health law.